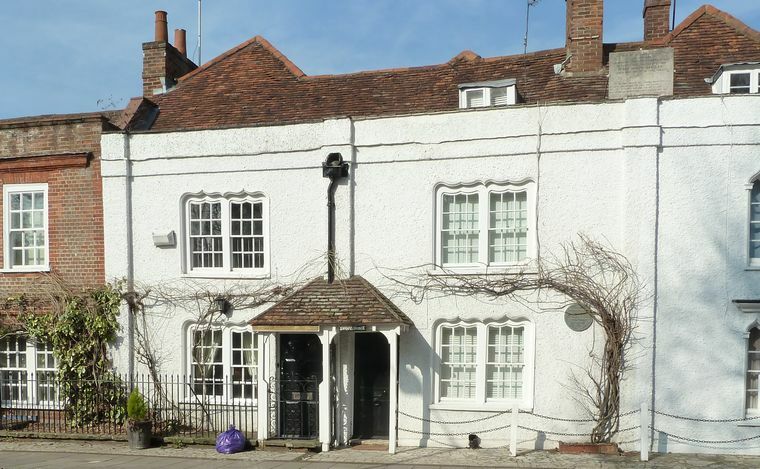 The Old Vicarage offers luxurious bed and breakfast accommodation in a delightful setting in the picturesque Berkshire village of Bisham and by the bank of a beautiful stretch of the River Thames. 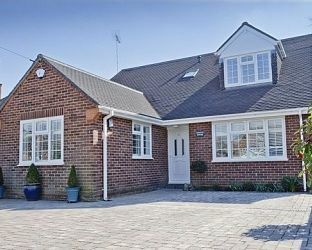 The village, between Marlow and Maidenhead, has easy access via A404(M) to M40 and M4 and thereon to London, Reading, Oxford and Heathrow airport. Visit Marlow Buckinghamshire and the surrounding villages and stay in bandb, hotel or holiday home accommodation provided by BedPosts members. 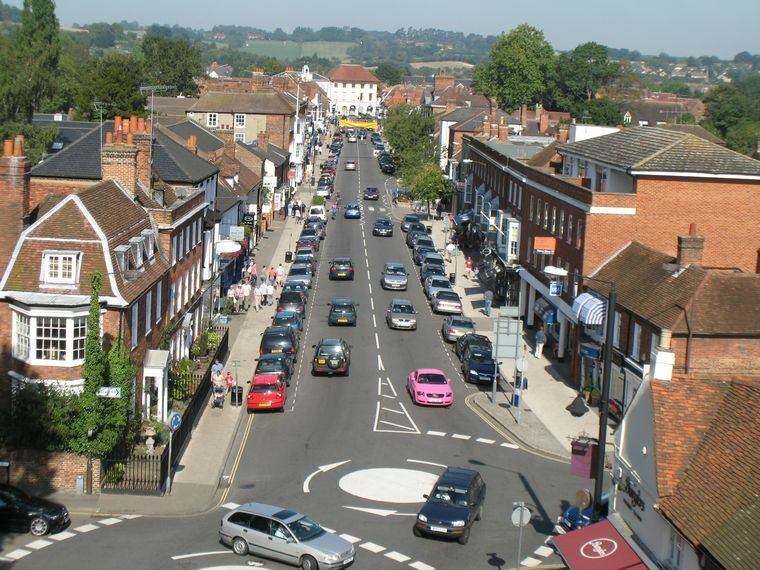 Marlow town is in south Buckinghamshire on the River Thames, 4 miles from High Wycombe and 5 miles from Maidenhead. Marlow Bottom, a residential area, is adjoined whilst Little Marlow is separated by a mile of countryside. Marlow is a popular destination. Its beautiful riverside location, weir, locks, historic bridge, Compleat Angler hotel and church are at the centre of a thriving town. Its convenient location close to M40/M4, Heathrow Airport and London make it a convenient place for industry to root. The suspension bridge, designed around 180 years ago by William Tierney Clark, is a site to behold. It was a prototype for the larger Szechenyi Chain Bridge in Budapest. The bridge joins the counties of Buckinghamshire and Berkshire. The River Thames beneath hosts rowing, canoeing and boating activities, tow path walking and is a home to swans and other wildlife. On the river is Marlow Lock, originating from the 14th century. In Higginson Park is a statue to one of Marlow's famous latter day residents, Sir Steven Redgrave who won Olympic gold medals at 5 consecutive games. He was often seen practising on the river. The oldest building is probably the 14th century "Old Parsonage" in St. Peter Street. In this street, too, is St. Peter's Roman Catholic Church designed by Pugin in 1846. It holds the mummified hand of St. James the Apostle. At the bottom of St. Peter Street you get a beautiful view of the Weir on the River Thames. Along the High Street are several old houses dating from the 16th century. The Ship Inn, West Street, is a 16th century building with original ship's timbers. In this street lived the poet Percy Bysshe Shelley and his wife Mary who wrote Frankenstein. T.S. Eliot lived at No. 31. A plaque on Sir William Borlase's Grammar School is a tribute to old boy Ken 'Snakehips' Johnson, jazz artist. Further on in Henley Road is the Hare and Hounds, 16th century inn with oak beams. 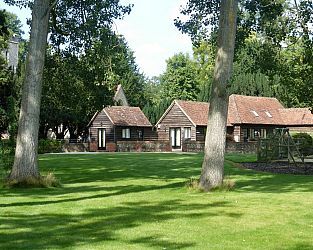 Read about the surrounding area and maybe stay outside Marlow in a nearby village or hamlet in a B&B or vacation rental accommodation. Bisham is a village in Berkshire a mile out of Marlow, over the bridge. Bisham Abbey, a 13th century manor house, is the home of the National Sports Centre. Little Marlow is a village about a mile from Marlow surrounded by the hamlets of Winchbottom, Coldmoorholme, Handy Cross, Fern and Sheepridge. It boasts a cricket ground/village green and two public houses, Kings Head and the Queens Head.. The12th century parish church of Saint John the Baptist became newsworthy in 1998 when Spice Girl, Melanie Brown, used it to get married. Marlow Bottom is a village adjoining Marlow. It has various shops, a private members club (The Barn Club) a village hall and Anglican and Methodist churches. The Rebellion Beer Company is situated here. Handy location for Marlow Industrial Estate and High Wycombe. Hambleden is a small village about four miles out of Marlow. The civil parish includes Mill End, Parmoor, Moor End, Fingest, Skirmett, Frieth, Colstrope and Pheasant's Hill. St Mary's church was built in 14th century. Nearby is the Yewden villa excavation thought to have been a Roman brothel. After reading about the historical places to visit you might want to extend your stay in a Marlow bed breakfast, hotel or inn. Marlow, first recorded in 1015, derives its name from Old English meaning 'land that has had the pond drained from it'. It was recorded in the Domesday Book. Marlow's importance arose from its position on the River Thames. In 1301 the town had its own Member of Parliament and even had two from 1624 to 1867. Jane Seymour was supposed to have lived at Seymour Court. Court Garden was supposed to be where Henry VIII courted her. Read about the local attractions you will want to visit during your stay in Marlow bed and breakfast or hotel accommodation. Photo of Marlow Weir by Compleat Angler Hotel and All Saints Church taken from lock. Cliveden is a grand country retreat with magnificent gardens and a lot of history. Most monarchs since George I came to visit. In post war years it became infamously associated with the Profumo scandal. Explore the gardens and woodlands. Interior tours are sometimes available. 20 minutes drive. Maidenhead Heritage Centre: Fly the Spitfire simulator! Museum telling the story of the pilots of Air Transport Auxiliary who flew over 300,000 warplanes between factories and RAF airfields. See also displays about Hammer Horror films, Vanwall racing cars, Brunel and Maidenhead in Victorian and Edwardian times. Dorney Court was built in 15th century and is full of ancient oak and lacquer furniture. Visit also the 13th century church of St James. Dorney means island of bumble bees in Old English and honey is still produced today. Home grown asparagus is available late April to end of May. The Kitchen Garden Centre serves cream teas. If the entertainment you seek is not offered in the Marlow hotel or inn in which you are staying find it on this page. Clayton's Bar: disco on Saturdays to 1 a.m. Odds Farm Park, Wooburn Common 40-acre children's farm near High Wycombe. Wycombe Air Park, Booker: trial flights. Longridge, the outdoor activity adventure centre for adults/children of all ages. Clayton's serves alcohol till 1 am on Saturdays. If you're not eating and drinking in the Marlow guesthouse, hotel, inn or in which you are staying find places here. After you've browsed all Marlow's boutique shops you'll be thirsty. There's at least a dozen places where you can sit down and have a cup of coffee. For a full meal, restaurants abound with cuisine from all around the world including English fish 'n' chips. Fancy something a bit stronger than coffee? There are 17 pubsto choose from. 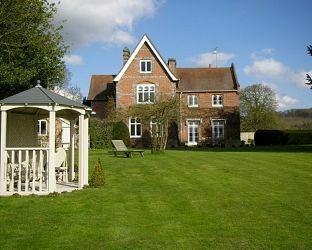 Stay in Marlow bed & breakfast, guest house and holiday apartment accommodation for events advertised here. 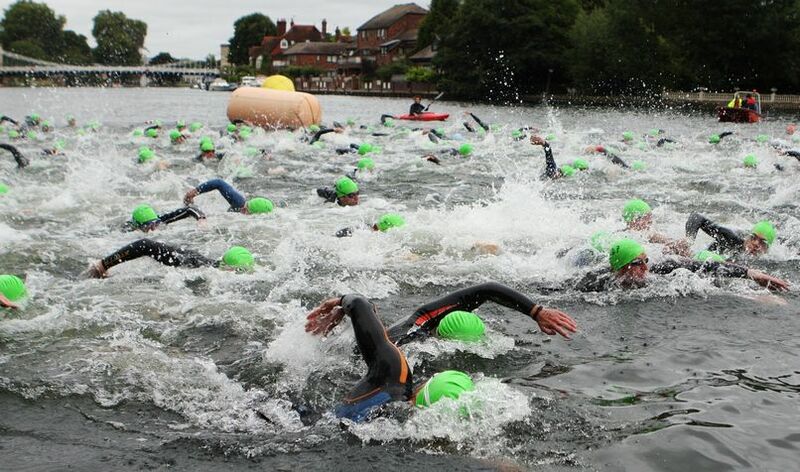 The Marlow Triathlon SOLD OUT in 2011 and is expected to do so again in 2012, with participant numbers reaching over 800. Join over 600 participants in each of these events from complete beginners to experienced participants on the banks of the river Thames. With the back drop of Marlow Bridge and the beautiful scenery along the banks of the river Thames, the NEW Marlow Half Iron Distance Triathlon & Marlow River Sprint and Olympic Distance Triathlon are the perfect opportunities to take up a new challenge, raise money for charity or just take in two of the fastest sports in the 2012 calendar. Find a taxi to take you to and from your Marlow holiday cottage, b and b or hotel accommodation and other travel arrangements. Marlow has a railway station at the end of a single-track branch line from Maidenhead. The train service, the Marlow Donkey, is so-named due to the steam engines that once ran here. Bus services are operated by Arrivaand Carousel. During your stay in a Marlow bed and breakfast, hotel accommodation or lodge you will no doubt visit the High Street shops if not local businesses. If you're coming to town for a special occasion such as a wedding you'll no doubt want to stay over in a Marlow bed and breakfast, hotel or guest house. 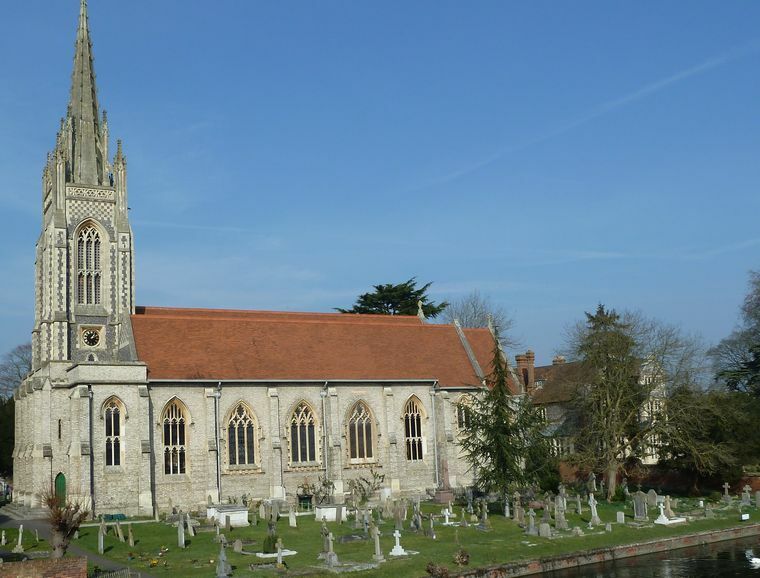 Marlow is a popular destination for weddings at All Saints Church in the iconic spot by the Thames and its famous bridge; also at St Peter's designed by Pugin. Naturally lots of commercial enterprises cater for receptions. Whilst enjoying your stay in a B&B, hotel or self-catering cottage in Marlow you will probably want to take some exercise. Exercise or sports spectating opportunities whilst staying in a B&B, hotel or self-catering accommodation in Marlow. Marlow Rugby Club, founded in 1947. The England Rugby team trained here until moving to nearby Bisham Abbey. 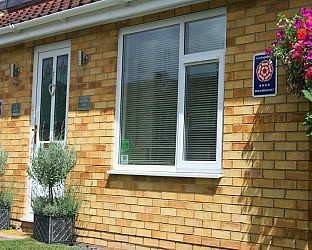 If you seek accommodation near Marlow in Buckinghamshire you have come to the website of a “club” of providers who offer affordable quality accommodation around UK in hotels, bed and breakfasts, guesthouses, inns, and restaurants plus self-catering cottages and apartments .